We had a good number of teams this year, 14 five-person and 7 seven-person teams. Auckland1 won the five-person Po Kerukeru trophy closely followed by Taranaki Turkeys and Hawkes Bay 5.1. 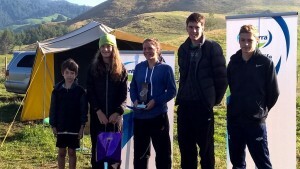 North West 7.1 won the seven-person Katoa Po trophy followed by Hawkes bay 7.1 and OBOP 7. 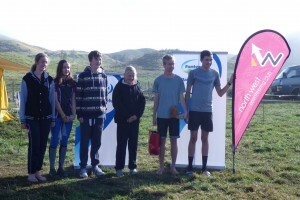 On behalf of the Auckland Orienteering Club, thanks Taupo for putting on another great event. Orienteering under a sky full of stars was a real blast! This is always a must do event on our Club’s calendar for the great courses and competition. But equally important is the social spirit of the event, bringing club members together as well as the opportunity to catch up with acquaintances in other clubs and make new friends. For those thinking of attending but worried about orienteering in the dark, don’t be. You know where you are on the map at all times (at least for the most part!) and it’s great for teaching maintaining map contact and using handrails and stepping stones. We’ll be back next year!